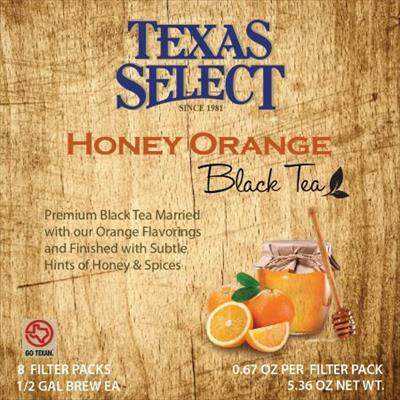 Brewing: Steep 1 pouch in hot water 4-5 minutes. Top with cool water to 1/2 gallon. 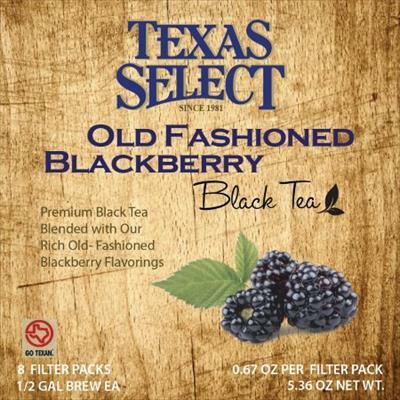 With brilliant old-fashioned blackberry flavor, the subtle yet distinct tones and lovely finish of this brew will capture you glass after glass. 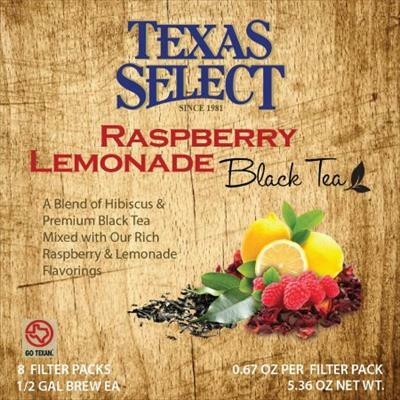 This is a favorite we still brew in-house every week -great with or without sugar. 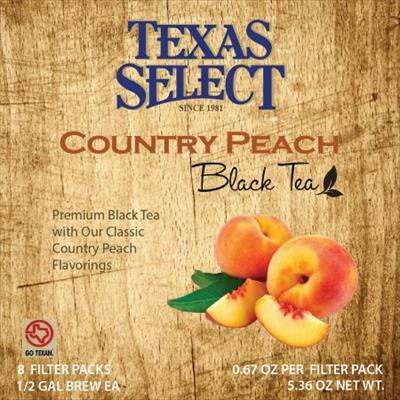 The Texas Hill Country is known for peaches. 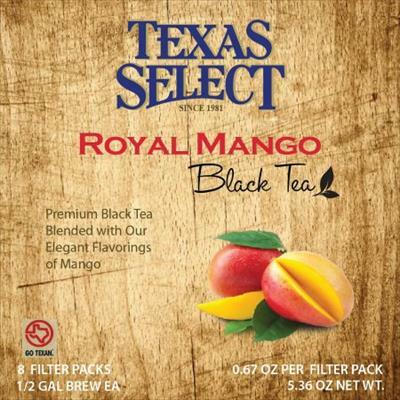 And that famous 'Texas Peach' flavor we all know and love occurs only every few years when growing conditions are perfect. This soft blend character was created to model that special flavor. A little sugar helps the flavor pop. 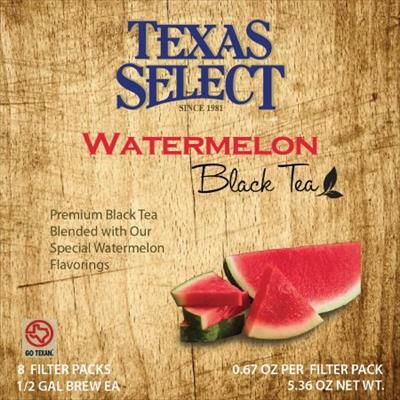 Inspired by generations of Texas Watermelon growers, this tea marries our signature Watermelon flavoring with our light character black tea. Watermelons are naturally sweet, so a skosh of real sugar makes for a special true Watermelon flavor -Wonderful in the glass! Amidst the impressive health claims about ginger is spicy uniqueness. 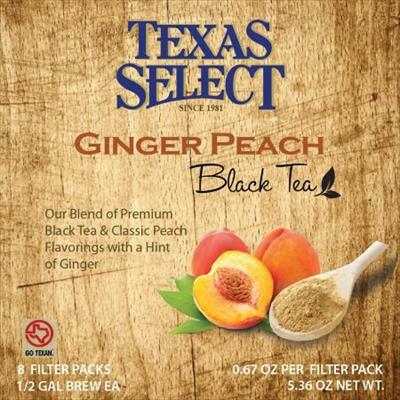 In this tea we have added a touch of ginger flavor to our classic peach. 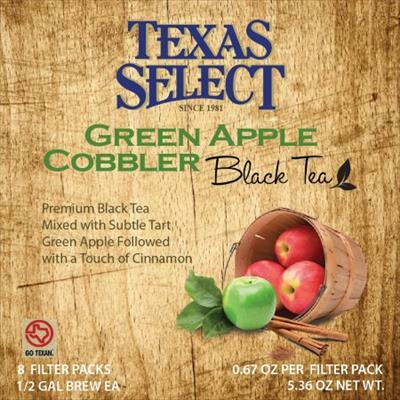 The complexity drifts up a knotch and brings special accents to the cup -a little sugar helps the fruit express.